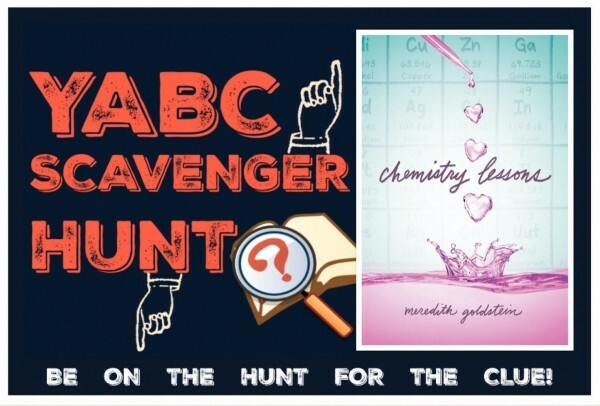 YABC Scavenger Hunt: Chemistry Lessons (Meredith Goldstein), Plus Guest Post & Extra Giveaway! Meredith Goldstein's Chemistry Lessons as part of the YABC Scavenger Hunt! Read on for more about Meredith and her novel! Meredith Goldstein is an advice columnist and entertainment reporter for The Boston Globe. Her advice column, Love Letters, is a daily dispatch of wisdom for the lovelorn that has been running online and in the paper for eight years. Meredith’s first novel, The Singles(2012), was about a group of dateless guests at a wedding. In 2018 she’ll release two books: “Can’t Help Myself: Lessons and Confessions From a Modern Advice Columnist,” a memoir (Grand Central), and Chemistry Lessons (Houghton Mifflin Harcourt), a young adult novel about a young woman who uses science to manipulate her love life. I remember the first time I smelled it. It was a very big deal – because I don't smell much of anything, ever. My nose is almost always stuffed up because of allergies. Usually, when people say, “Oh … that smells so good,” about flowers or some tasty looking plate of food, I have to take their word for it. But when I walked down Main Street in Cambridge, Massachusetts one afternoon years ago, I was overwhelmed by the scent. It was chocolate - everywhere. “A chocolate explosion,” I whispered to myself. It smelled like candy bar insides. Like heaven. The scent seemed to cover an entire block. I looked up an down the street to identify where the magic scent might be coming from, but couldn’t find any clues. No bakery. No ice cream shop. Nothing sweet. All I saw was a nondescript factory building. No one coming in or out. The windows gave nothing away. Eventually, I googled the address, and then I found the sign. It was a business called Cambridge Brands, a company responsible for making Tootsie Rolls. Tootsie Rolls were being made just miles from my house! Massachusetts gets a lot of attention for its history in the American Revolution, but some of its more recent past involves the creation of candy and sweets. Necco used to make its confectionaries in Cambridge. (Link here: https://cambridgehistory.org/candy/necco.html) Fluff, that weird-yet-perfect marshmallow spread, was invented in Somerville. When I began writing Chemistry Lessons, a YA novel about a young scientist who tries to manipulate her love life with pheromones, I knew I wanted to involve as many smells as possible. And my favorite scent – the one around Cambridge Brands – happens to be right down the street from the lab building where my main character, Maya, would do her experiment at MIT. Now, when I visit the neighborhood to enjoy the scent, I feel like I’m there with her. If you ever come to Boston, I recommend making a special trip to the corner of Massachusetts Avenue and Main Street in Cambridge to take a whiff walk of your own. Visit the MIT Museum, which is nearby. Check out the old Necco building. Then head to Main Street and inhale. You won’t be disappointed. The cover is adorable! Love the info about the tootsie rolls. I was drawn by the summary because my daughter has talked about going to MIT. The cover is adorable! Love the info about the tootsie rolls. I was drawn by the summary because my daughter has talked about going to MIT. 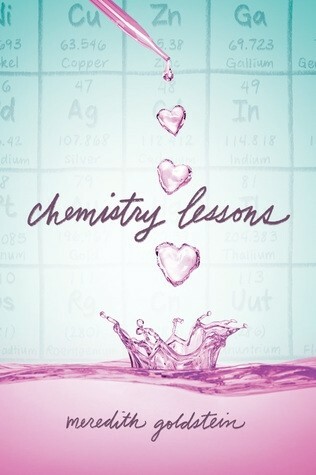 Chemistry, chocolate, YA romance AND AN AWESOME COVER.... what else do you need to attract the reader?!! The cover is so cute and perfect. I love the synopsis and this will be fun to read. I love the plot of this book and the cover really compliments it. I can't wait to read this! The cover is so cute! I love it! The synopsis sounds so great, can't wait to read! The cover is really creative. The story sounds fun. Beautiful cover and sounds great! The story sounds so amazing and the cover is stunning!